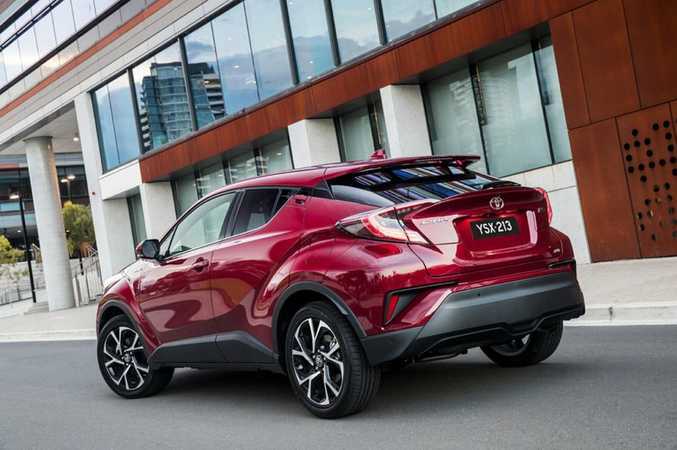 EDGY: The C-HR has been launched priced from $26,990, Toyota revealing a new style direction for its late but eagerly awaited entry to the crucial small SUV segment. Can I believe my eyes…a small SUV from Toyota, finally? It is. Late to the booming small SUV party, but with this new C-HR it's making quite the showboating entrance. It's rather funky, isn't it? To say the least. Are you sure it's a Toyota? Most certainly. 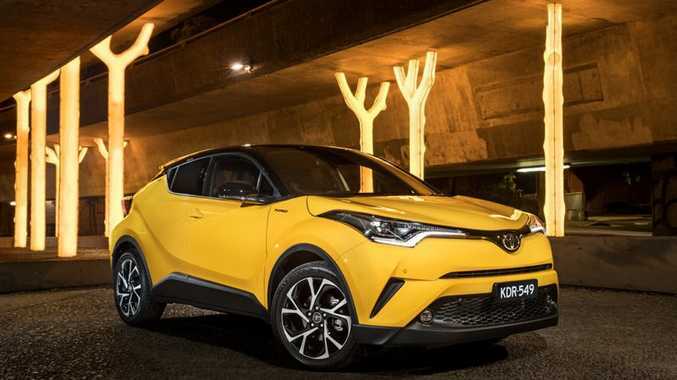 Toyota Australia says the C-HR is part of a new direction for the brand, and truly a game changer for the Japanese manufacturer which dominates many segments of the Australian market. Not least with its SUVs. Right then. What does the C-HR bit mean? It stands for Coupe-High Rider. It's got the sporty coupe shape with that sloping rear end, and rides a bit higher than a normal hatchback would, hence it's defined as an SUV. But we and Toyota know its home will be city streets rather than climbing mountains. What's one going to cost me? Here's the thing. Toyota's going a bit more premium with this one, so no sub-$20k price leader here, a la Mazda's CX-3 small SUV, the segment leader. 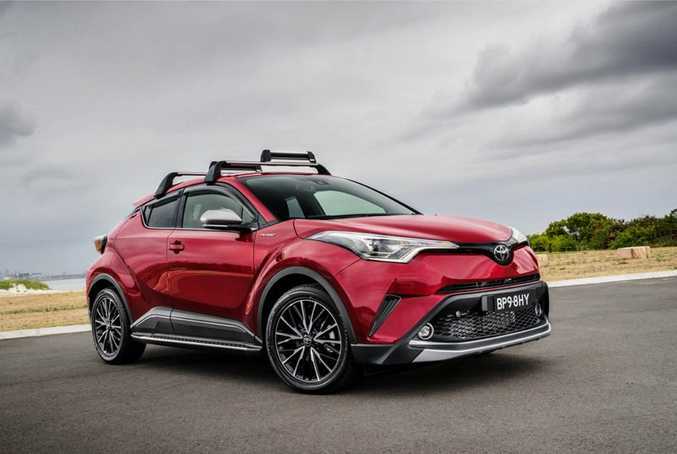 Toyota's coming to market with a generously-spec'd C-HR, translating to an entry price of $26,990 before on-roads. I assume there are choices to help me spend more though? Indeed. That $27k will buy you the front-wheel-drive variant with a six-speed manual gearbox. Toyota reckons only 5% of sales will be with the three pedals, so it's an extra $2000 to get one with a CVT auto transmission. Keeping it simple, drop another $2000 and you get all-wheel-drive. Only two, and both use an 85kW/185Nm turbocharged 1.2-litre four-cylinder petrol engine. Your entry-level C-HR gets a fair bit of fruit such as sat nav, 17-inch alloy wheels, electric park brake and dual-zone climate, plus a decent suite of safety tech. 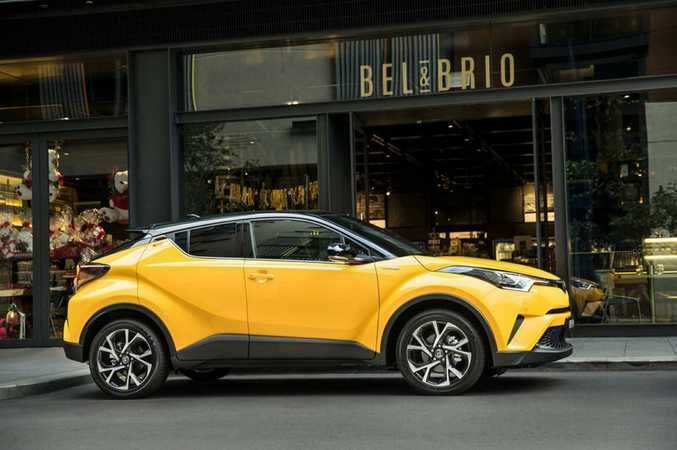 Top spec is called C-HR Koba bringing leather-accented power and heated seats, keyless entry and start, 18-inch alloys, LED lamps and "Nano-e" air purifying technology that moisturises cabin air to keep your skin fresh. Koba cars add a $4300 premium and you can only get them with the CVT auto gearbox, so these start from $33,290 before charges. Even as those prices creep up, are they still value for money? I'd say so. 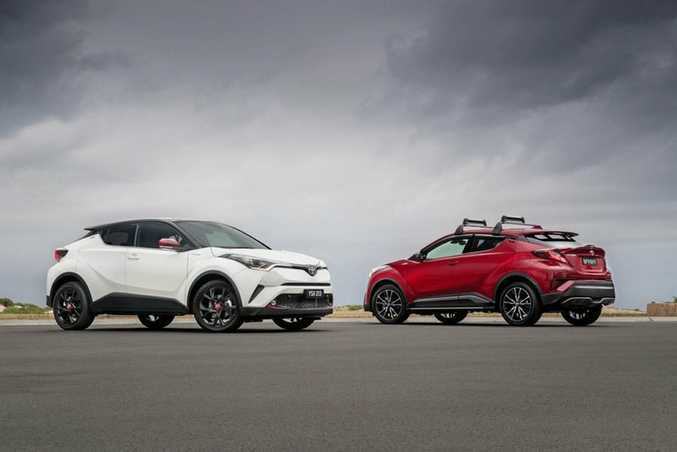 Before we even talk about the C-HR's design, cabin and drive, it's clear the high standard specification is on-trend for what the small SUV buying market demands. Shoppers are expected to be couples, singles, young families and downsizers. And they like their goodies. 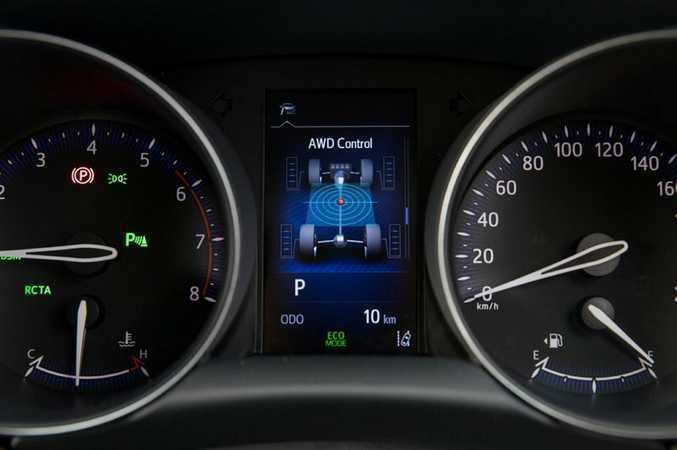 All C-HRs get excellent safety kit: autonomous emergency braking, pre-collision safety, active cruise control, lane departure alert and steering assist, blind spot monitor, rear cross-traffic alert and reversing camera. Then there's a (quite small) 6.1-inch display, Bluetooth, speech commands, Toyota Link for your Pandora, but sadly no Apple Car Play or Android Auto connectivity. Buyers like them. Let's talk style then; not typically one of Toyota's top selling points. It sure is hair down time. Just wow Toyota, this is something different and it works. Look, design is subjective, but in the metal the C-HR is a make-you-smile extrovert departure from the beige. A steeply sloping roof-line, sharp "diamond architecture" curves and creases and wide wheel arches give it a futuristic flavour that stays true to the dramatic concept drawings when the C-HR was first envisaged. With in vogue SUV traits of a longer wheelbase and higher ride height it instantly dates much of the current Toyota range. 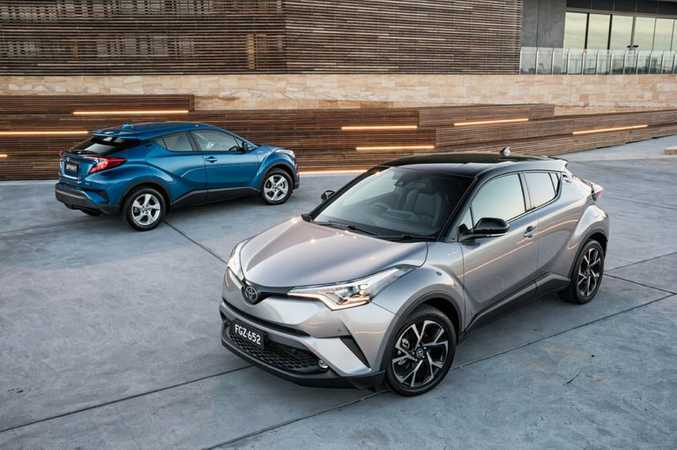 The C-HR is a tad longer and wider than the Corolla hatch, and it'd be no surprise to see Toyota loyalists going C-HR over the Corolla, or even RAV4 buyers dropping a size to embrace the new. I bet the cabin is Toyota Plain Jane though? Pleasingly, no. Big leap forward here and justifying the premium talk from Toyota. The diamond theme continues inside with bold asymmetric edginess, there's a welcome overdose of piano black and the switchgear has a real feel of quality. Deep soft-touch surfaces are abundant for the upper door trim, arm rests and dashboard: it's all rather impressive. 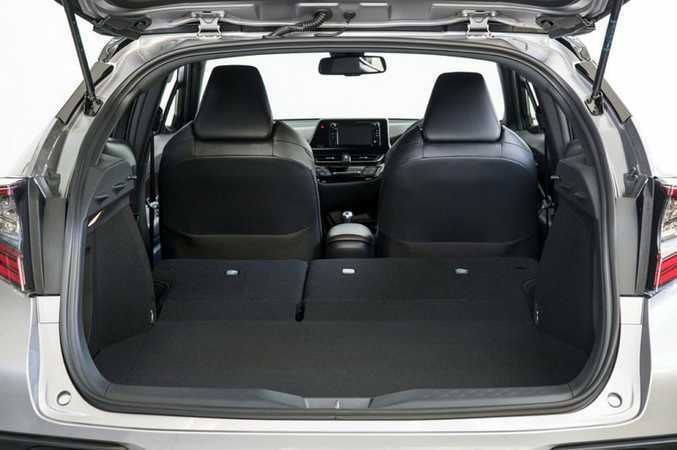 As a compact SUV though is it any way practical? Not bad actually. High head room is there for all occupants - though rear travellers may feel somewhat claustrophobic thanks to the sloping rear roof line and titchy windows. There are ample cup holders, smart storage spaces and boot room is 377-litres, so enough for a kiddie pram or bike plus the shopping, while fuel economy is average for the class, but you do need pricier 95 octane fuel. Is it a thrilling drive? Not thrilling no, but that's not really the C-HR's point. The 1.2-litre turbo motor doesn't have the guts to make your journey to 100kmh rapid (it takes about 11 seconds), while the CVT auto gearbox (which 95% of you will buy) is at its best around town or sat on the highway rather than back road playing. Like all CVTs, it whines a bit when heavy on the throttle. Positively it's an easy and comfortable steer, absorbing bumps very well and cosseting you from the noise of the city or highway. Show it some corners and it proves it's a brilliantly balanced chassis that doesn't suffer from a slightly higher centre of gravity, but a bit better grip from the tyres and a tad more steering feedback would up the driving joy. I'm in no doubt good bones are there for the C-HR to be given more power, so I'd champion at the very least a 'warm' C-HR version. Most buyers will care more about the style than its performance though, right? Too true. So let's talk customisation and accessories. There's a vibrant colour palette including Atomic Rush red and Electric teal, while Koba models can have (for $450) a contrasting roof colour: white for bronze, blue, yellow and teal bodies, or a black roof for white, yellow or silver cars. There are over 60 accessories too, ranging from a towing hitch and roof bars to eight different alloy wheel options. It's the sort of car ripe for personalisation. Good luck with that. Pre-sale orders have been excellent Toyota told us, and with only around 6000 earmarked for our market this year it is shaping up to be a classic case of demand outstripping supply. Expect a waiting list. That said, it looks like a car worth waiting for. 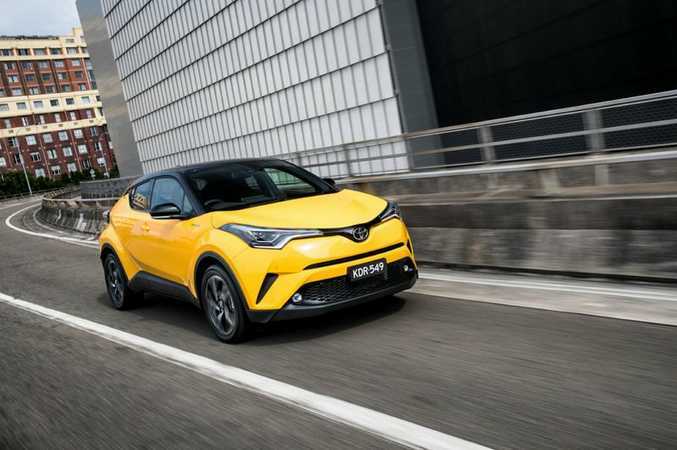 Not only is the C-HR a model Toyota badly needs in this hot-right-now small SUV segment, it has landed as the brand is embracing a belief that its cars need to be more exciting, fun and emotionally engaging. 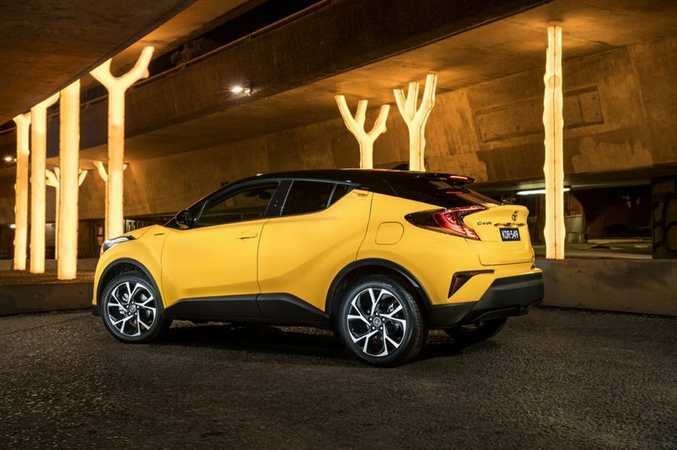 The mix, successfully executed with the C-HR's out-there style and lovely cabin, looks set to be a winner. What we liked: Stunning cabin in terms of comfort, features, design and space; brave exterior design, comfortable ride and competent chassis, ease to drive, active safety features as standard. What we'd like to see: Bit more steering feel to boost driver engagement, chassis could handle more power, CVT is whiny when pushed and needs steering wheel paddles, no Apple CarPlay or Android Auto. Servicing and warranty: Three-year 100,000km warranty. Service intervals are every 12 months/15,000km, and transferable Toyota Service Advantage of 5 years is included with annual service at $195 per time. Details: Four-wheel drive or front-wheel-drive five-door compact SUV. Engine: 1.2-litre four-cylinder turbocharged petrol generating maximum power of 85kW @ 5200rpm and peak torque of 185Nm @ 1500rpm. Transmission: Six-speed manual or CVT automatic. Performance 0-100kmh: From 10.9 seconds (FWD manual). Bottom line before on-roads: C-HR (2WD manual) $26,990; AWD adds $2000, CVT auto adds $2000. 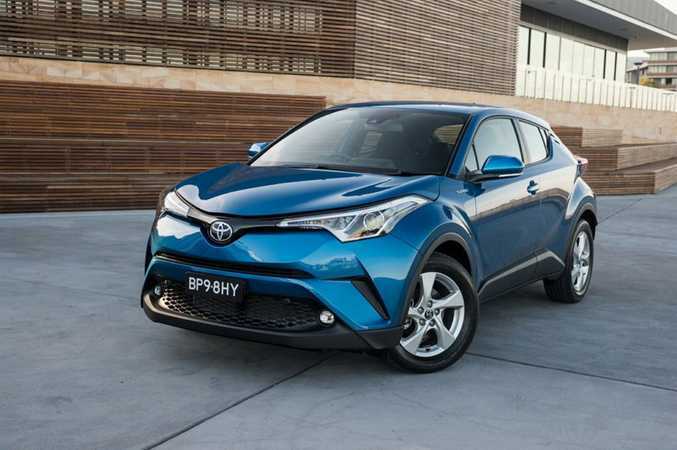 C-HR Koba (2WD CVT) $33,290, AWD adds $2000.